Area: 12,7ha / Depth: 3m / Type: gravel pit. water body of Balat-David is home to beautiful populations of carp, perch and roach. The pike fishermen will be concentrating on the small cove, which is good for pike, while the lure fishermen will do power-fishing to survey the submerged vegetation at the riverbank. 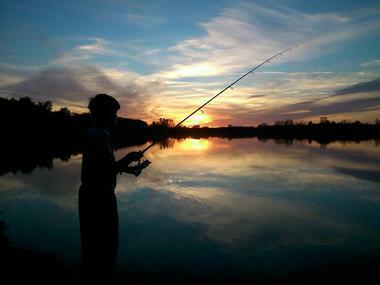 Carp fishing is exclusively by day. The banks are easily passable, gently sloping and with some vegetation zones. 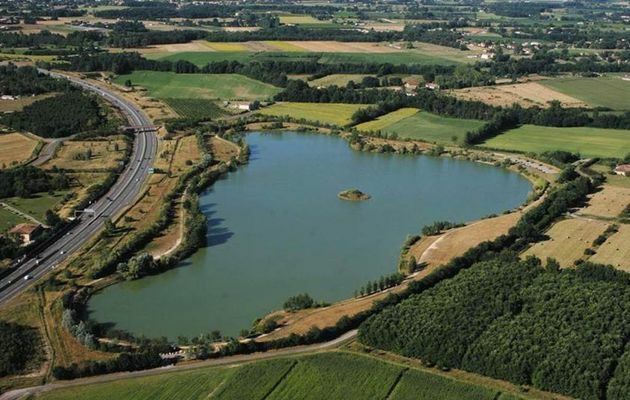 On site you will find a pontoon, tables, barbecues, a fitness trail and 2 car parks on each side of the lake. > Free entry to the lake.